Smart DNS Proxies have skyrocketed in popularity among video streamers who want to access geo-blocked content. The technology is available at low cost, and even for free, and you can get a Smart DNS without having to install any software. It begs the question, are Smart DNS proxies too good to be true? While they offer easy access to restricted content, are they safe to use? What is a Smart DNS Proxy Server? Let’s start with understanding how web proxies work first. When you connect your computer or any other device to the internet, the device you are using is assigned an IP address by the internet service provider (ISP). The IP address helps servers and other devices in the vast network of the web recognize your device. Without an IP address, it would not be possible for the ISP to reroute data and send web traffic to and from your device. The IP address assigned to your device is fixed unless you manually change it. That is what a proxy server like Smart DNS does. A web proxy is a middleman-type device that stands between your computer and the web server. The proxy server can handle a request from your computer by connecting to the ISP server. Say, for example, you want to access Google. When you connect without a proxy server, your computer sends the request directly to the ISP server and the internet. When you log in to a proxy server, your request is forwarded to the proxy, which then reroutes it to the ISP server and the web. Your real IP address contains your location because it connects to an ISP’s server. A proxy server can mask your real location. Proxy service providers will offer clients a list of codes, or IP addresses, to manually enter into the network settings of your computer or smartphone. These IP addresses are associated with various locations, so you can choose the country you want to pretend to connect from. In the example above, you can use a German IP address from a Smart DNS provider to log in to the Google homepage from India. You will be automatically directed to the Deutsche Google page, not the Indian one. The technology associated with web proxies can be quite complicated, but how it works is easy enough to understand. How Can Using a Smart DNS Proxy Be Risky? First of all, it’s important to understand the difference between free proxies and paid proxies. Free proxies are available to anyone online, and you don’t have to subscribe to anything to use. But the “free” part may not be as free as you think. Some free proxies are known to mine data. Keep in mind that the proxy knows which sites you are using. Whoever’s running the proxy can use this data to steal personal information. It’s not always as ominous. Companies can use free proxies to mine for web user data. Google has a free proxy, and it is well known that the company mines data from the users of that proxy. You are essentially exposing your privacy when you use a free web proxy. One major issue of using proxy servers, especially free ones, is that you never know who is providing the IP address codes. It could be a cybercriminal organization or a government surveillance program. You could be giving up sensitive personal information like usernames, passwords, and bank account numbers when you use a free or a dubious proxy to potential spies or cybercriminals. HTTPS is a way of encrypting data transmitted between your browser and the internet. HTTPS keeps your personal information safe and secure from prying eyes. It’s highly recommended to access only HTTPS sites for your cyber safety. Unfortunately, some proxy service providers forbid HTTPS traffic. This means the transmissions between your computer and the internet is not safe. If you enter passwords, credit card information, or similar personal information on a connection that band HTTPS, then all that sensitive information is left open for anyone to grab. You simply won’t be able to browse the web. Not all web proxies do this, but it can be hard to tell which ones do and which ones don’t. There are numerous problems associated with free or so-called open web proxies. Security analysts have found that some of these open proxies monitor user traffic to steal usernames and passwords. In other cases, the proxies manipulate websites themselves to steal cookies or inject advertising. These advertisements could carry malware. So the problems are many with free services run by groups that no one knows about. Dubious business practices are not uncommon to Smart DNS sector. It’s more common with free proxies, but even some paid services have been caught in spurious acts. For example, Israel VPN provider Hola was found to sell user bandwidth to various parties. The service had millions of users who were used as a botnet to stage cyber attacks like DDOS attacks against 8chan. So it’s essential to know who’s running the web proxy you are using. Not all problems the providers are security related. Other problems of associated with some providers include lack of customer support. If you don’t have a Ph.D. in networking tech, you will most likely run into tech trouble when you manually enter IP addresses. If the proxy service provider doesn’t offer tech support, then you could end up in serious trouble. Some IP address codes prohibit by individual providers don’t work. If you paid for it, then you would be getting nothing in return. Problematic IP address codes could make your modem or router run circles fetching DNS codes, which means your internet connection is getting slowed down. Stability loss is another issue with untrustworthy Smart DNS providers. It’s also important to note that there could be legal problems as well. Using a web proxy in itself is not illegal. However, some web proxy providers could be banned or named as criminal entities in some countries. Governments like China are known to prohibit proxy codes from blacklisted providers. If you continue to use these codes, you could end up in trouble as well. Do not use the proxy server if you don’t know who the provider is. Most paid providers declare who they are and provide a proper business address. You can read up on the company more to understand if there are any known security risks associated with. As a simple rule, do not use open or free proxies without any known operators. Do read the company address, if one is provided, carefully. Where is the Smart DNS provider located and under which country’s jurisdiction would the company fall under? You would want to purchase services from a company operating from a country with strong privacy and cybersecurity laws. If the company is located on some island you have never heard of, you may not be able to sue the provider for a privacy violation. The company could sell your data and it could be perfectly legal in the country of operation as well. Therefore, know where the provider is coming from as well. Simply don’t use a Smart DNS provider that forbids HTTPS. Some providers offer additional encryption protocols with the service. It’s recommended to use a service that ensures connections are secure. It’s not impossible to use a Smart DNS proxy service safely. Follow the above tips to choose a safe service. It’s recommended to read unbiased, third-party customer or professional reviews of the service as well. Do your research before you pay for a service, and you will be able to access your favorite streaming service without compromising your online privacy. So Which Smart DNS Proxy is the Safest? 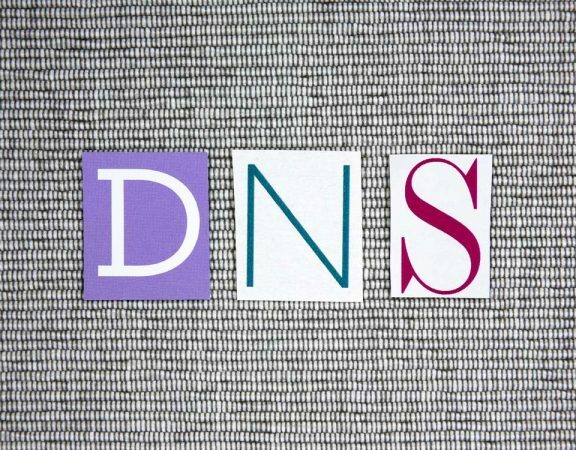 We’ve talked about the potential risks that a random DNS proxy can do for you. Aside from following the tips above to keep you safe from online threats, you need to use a DNS proxy that will provide you the security and reliability that you demand from this service. Hands down, we can’t recommend Smart DNS Proxy enough for your entertainment and video streaming needs without having to look over your shoulder for security issues. Its reputation as one of the most reliable DNS proxies in the market with thousands of users worldwide should make it your prime choice. If that’s not enough, if you subscribe to Smart DNS Proxy now, you can enjoy our 70% discount – limited time only! Smart DNS Proxy’s current regular price is $4.90USD/month. Through their discount promo, instead of paying $117.60 in two years, you only pay $34.90 USD! Cool, right? Upon signing up, you can enjoy its FREE trial as well so you can decide whether it’s the best DNS proxy for you (which it is!). CLICK HERE TO GET YOUR 70% DISCOUNT.